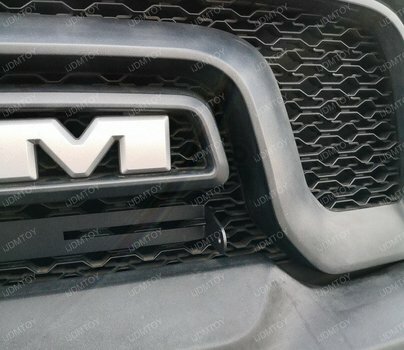 Let's learn how to install the grille-mounted RAM LED light bar for the 2015-2018 1500 Rebel pickup truck models. 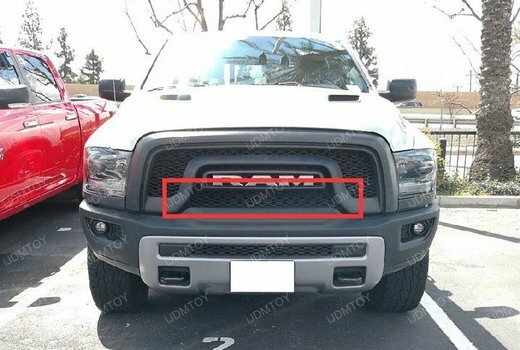 Please note that the light bar bracket assembly will not allow you to affix the LED light bar on the RAM 1500, 2500, or 3500 models. This light bar kit is specifically crafted to set a 20" 120W LED light bar on the front-side grille, utilizing the empty space below the RAM block letters. After installation, your RAM Rebel will achieve a rugged look with a flush fit LED light bar to light the way to where you need to go. Open your RAM's engine hood to gain access to your grille's back end. Bolt on the light bar mounting bracket under the RAM name badge using the included hardware. 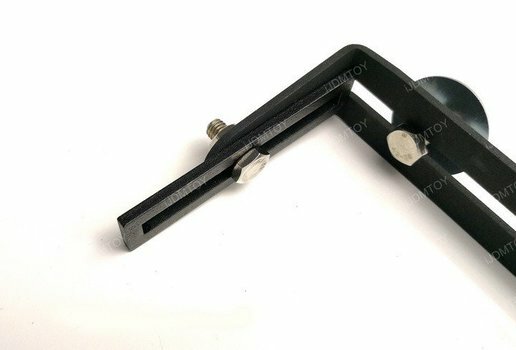 Mount the rectangular extension brackets onto both ends of the cradle mounting bracket. 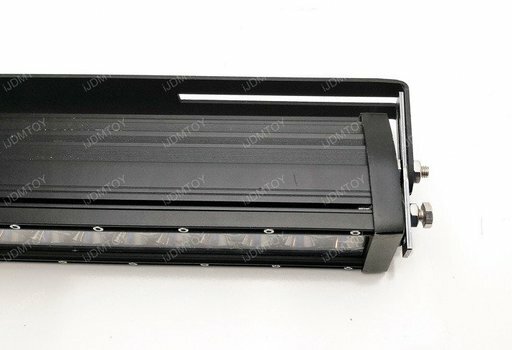 Secure the LED light bar onto the cradle-shaped mounting bracket. Wire the LED light bar using the included relay wiring harness. Test the LED light bar to make sure it functions properly. Once you have confirmed that it fully lights up, close your hood to finish. 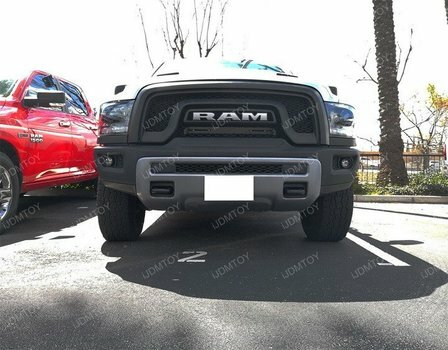 You may now enjoy your RAM Rebel's brand new grille-mounted LED light bar! 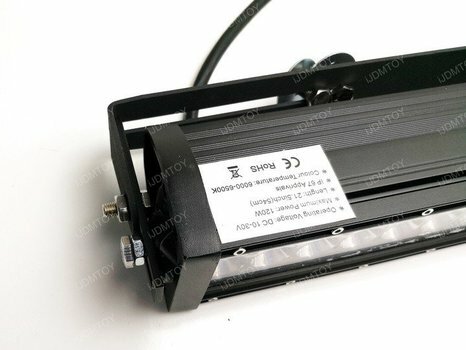 Find this and more offroad truck LED lighting at store.ijdmtoy.com today!